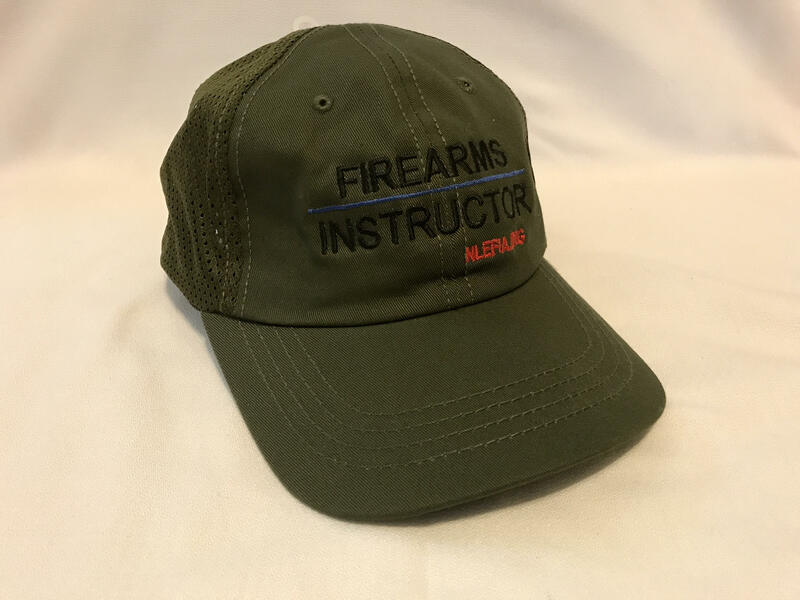 The NLEFIA Firearms Instructor hat is designed to provide protection and comfort during training. This is an unstructured classic baseball-style hat that has four rear mesh panels for breathability, two reinforced air vent holes, a hook & loop rear adjustable strap, and FIREARMS INSTRUCTOR with the thin blue line and NLEFIA.ORG embroidered on the front. - 65% polyester / 35% cotton rip-stop material - 100% polyester mesh - Hook & loop rear adjustable strap - FIREARMS INSTRUCTOR with the thin blue line embroidered on the front - Available in black, tan, and OD green.